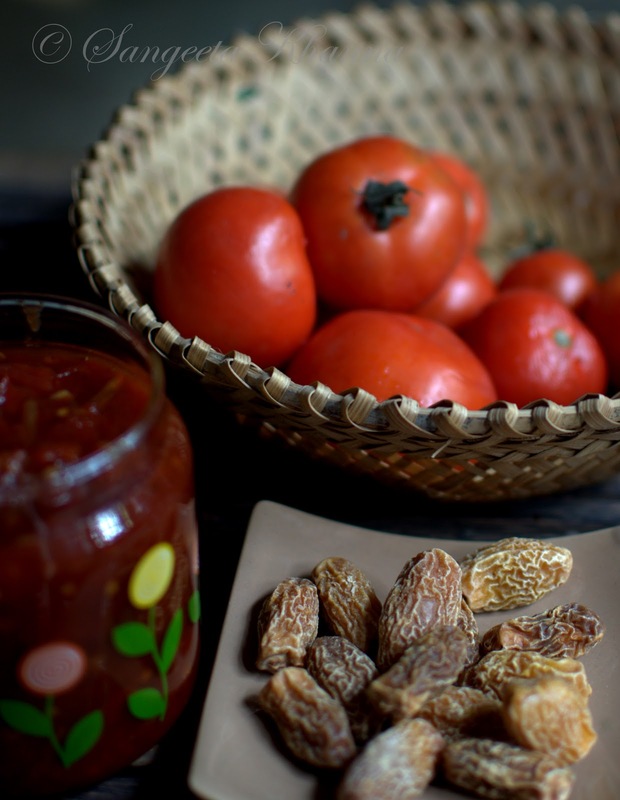 You just need some red ripe heirloom (desi) tomatoes, some dry dates we call Chhuharey (see the picture), some fresh ginger root and a blend of garam masala, preferably home made. 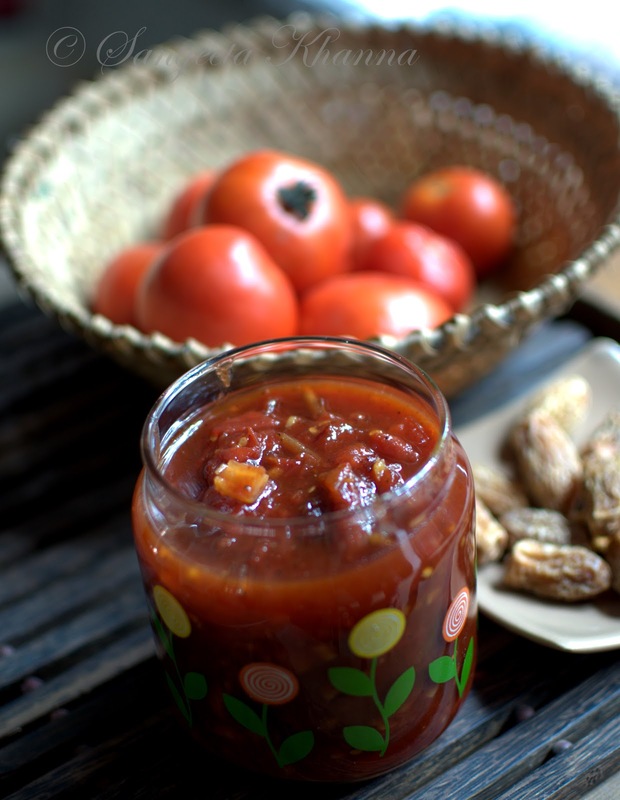 And yes, you can add a little tamarind too if you wish but this is made without any tamarind pulp. Dice the tomatoes and put them all into a wide base pan. Chop the soaked dates too in desired size pieces and dunk them all into the same pan. Add salt, sugar (I used natural brown sugar) and chopped ginger to it too and start cooking on medium-low flame. Keep stirring in between as it takes quite a long time to cook (around 40 minutes) and might get stuck to the base of the pan. Just as the jam/chutney starts getting thick and shiny it is time to add the red chilly powder and garam masala. Cook for 5 more minutes or till you get a jam like consistency and bottle it in a sterilised jar. This can be blended smooth if you wish and can be a good substitute for tomato ketchup for your kids. I like the depth ginger provides into this chutney and the garam masala makes it very aromatic. 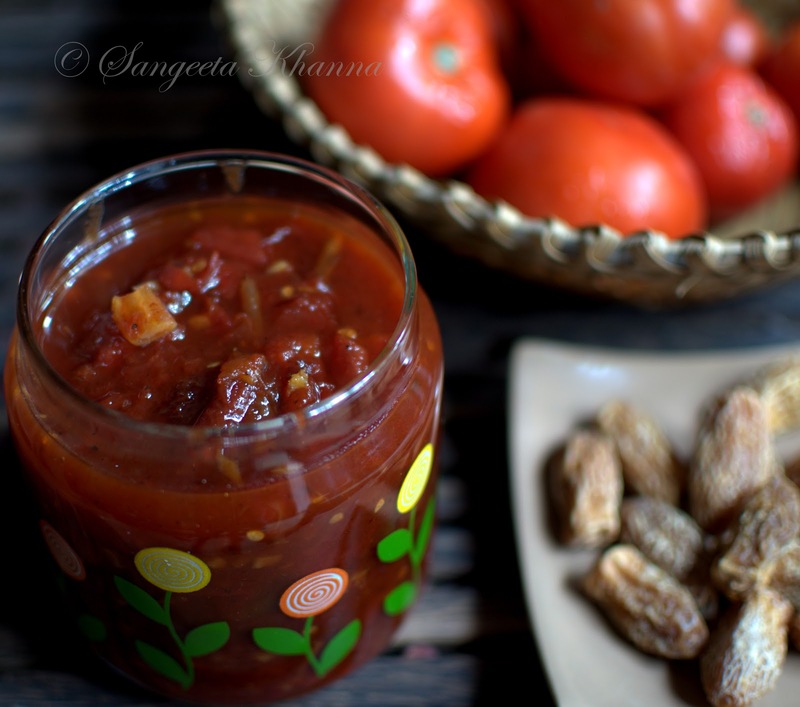 A sweet, spicy and hot chutney to make the meals pack a punch.